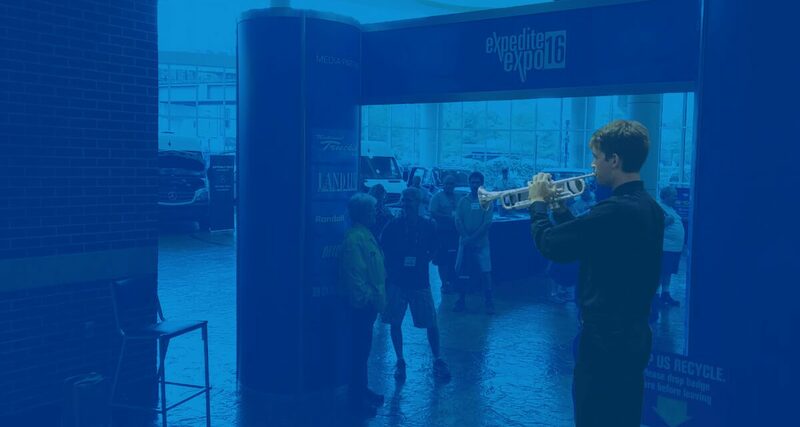 When the trumpet player sounded the traditional Kentucky Derby call at 9:00 a.m. on July 15, at the Lexington Center in Lexington, Ky., the 16th annual Expedite Expo was off and running – a “race” packed with education, networking, and entertainment. And it finished strong the next day with a driver appreciation BBQ at 4:00 p.m. 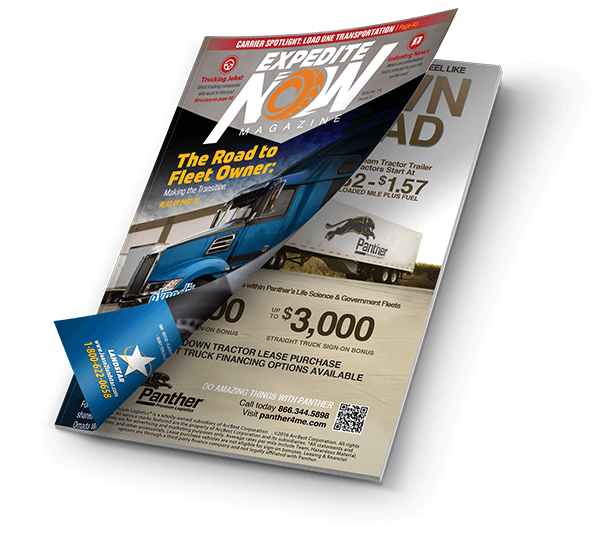 Launched in 2001, Expedite Expo has been the only trade event focused exclusively on the expedited trucking industry, attracting thousands of attendees and exhibitors across North America. In addition to learning about the newest trucks, products and business potential from every major industry category, truckers also gain numerous networking opportunities to make lasting connections with people who can help them succeed in the business. This year was the first at Lexington Center for Expedite Expo, which had been held at the Roberts Convention Centre in Wilmington, Ohio, for the past decade. 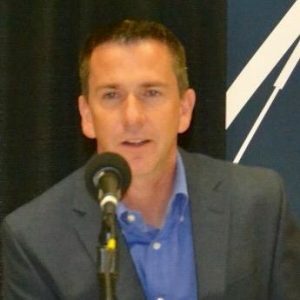 While overall attendance for this year’s show was off from previous years, the quality of attendees was higher, says Lawrence McCord, chief executive officer of On Time Media, the producers of Expedite Expo. Here are some of the Highlights from Expedite Expo 2016. Whether you’re new to expediting or have been in the business for years, there was a workshop for you. Attendees learned from veteran expediters and industry experts about a wide range of topics, from the basics of getting started in expediting, to buying a truck, to purchasing fuel more intelligently (and cost-effectively), to navigating the impact of the new electronic logging device (ELD) mandate on expediters, to starting a new trucking company. The second day of the Expo featured a roundtable discussion lead by Ellen Voie, president and chief executive office of Women in Trucking, a national organization that encourages the employment of women in the trucking industry. Voie brought together a panel of five successful female expediters to share their personal stories and insights on the unique challenges and opportunities for women in expedited trucking today. One quote by Tom Evans, a long-time owner-operator and fleet owner with his wife Tina, captures the essence as to why education is so important to the expedite industry. Evans’ answer drew loud applause from the nearly 100 people in the room. It’s that type of candid interaction that you would find in many of the workshops the Expo, where you’re able to learn from, meet, and speak with other drivers, owner-operators, and fleet owners, who are in the trenches, actually doing the work and finding innovative ways to succeed. Imagine you could have just about every resource you would need to help you succeed in expediting — all under one roof. That’s the Expo exhibit hall in a nutshell. Attendees got to see — and touch — the latest trucks and custom sleepers, with opportunities to get their questions answered by experts from Expediter Services, Stoops Specialty Trucks, Middle Georgia Freightliner, Fyda Freightliner, Premier Truck Group of Knoxville, Kentucky Freightliner-Western Star, and Bolt Custom Trucks and Manufacturing. And for expediters interested in running cargo vans, there were several van providers to meet with, including Tafel Motors, James Motor Company, and Sprinter of Fort Mitchell. The exhibit hall also offered the opportunity and convenience for prospective owner-operators to meet with recruiters from a wide range of carriers — including Load One, Fed-Ex Custom Critical, Panther, Landstar, Premium Transportation Logistics, among several others — to help them find the best fit for their business and lifestyle goals. But the Expo wasn’t all business; there were plenty of opportunities to kick back and have fun, as well. For example, on the first night of the Expo, there was Casino Night, sponsored by CIS, where attendees tried their hand at Blackjack, Roulette, Craps and Texas Hold’Em — all on the house. This event offered a real casino experience, without the financial risk but with a whole lot of upside. That’s because there were over $8,000 in prizes donated by supporters of Expedite Expo given out at Casino Night, with grand prizes including $500 cash, a big screen TV, and a custom painting of famed triple-crown-winning race horse Secretariat. Then there was the annual ExpeditersOnline.com Drivers’ BBQ the next day, after the show closed at 4:00 p.m., featuring a whole hog roast. And when they weren’t walking the exhibit hall, sitting in educational workshops, or visiting the nearby downtown Lexington restaurants, many attendees enjoyed “tailgating” in the acres of free parking outside the convention center, networking and sharing stories. Save the Date: July 14-15, 2017 With Expedite Expo 2016 in the books, mark your calendar to attend next year’s show set for July 14th and 15th, 2017, at Lexington Center. The Drivers’ Choice Award, sponsored by Detroit Diesel, recognizes the “best truck” at the Expo as voted on by drivers. This year’s winner was a 2017 Freightliner M2 112 with 100-inch Bolt Custom Sleeper, presented by Premier Truck Group of Knoxville and designed in a team effort by the truck’s new owner Susan Medlin (with Medlin Expedited & Leasing LLC), Sandra Robinson (with Premier Truck Group of Knoxville), and Bolt Custom Truck.